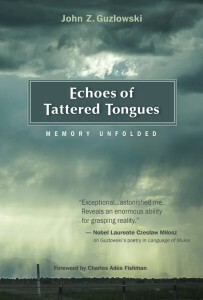 John Guzlowski’s book of poetry, “Echoes of Tattered Tongues,” is the story of his own family; his parents were taken as slave laborers by the Germans and barely survived; his sister and he were born in Displaced Persons camps. Raw, eloquent, nuanced, intimate – Guzlowski illuminates a hidden facet of World War II and reflects the ways in which trauma echoes through time, leaving us with a deeper, more visceral understanding of the human costs of war. Hopwood Auditorium is on the second floor of Hopwood Hall.